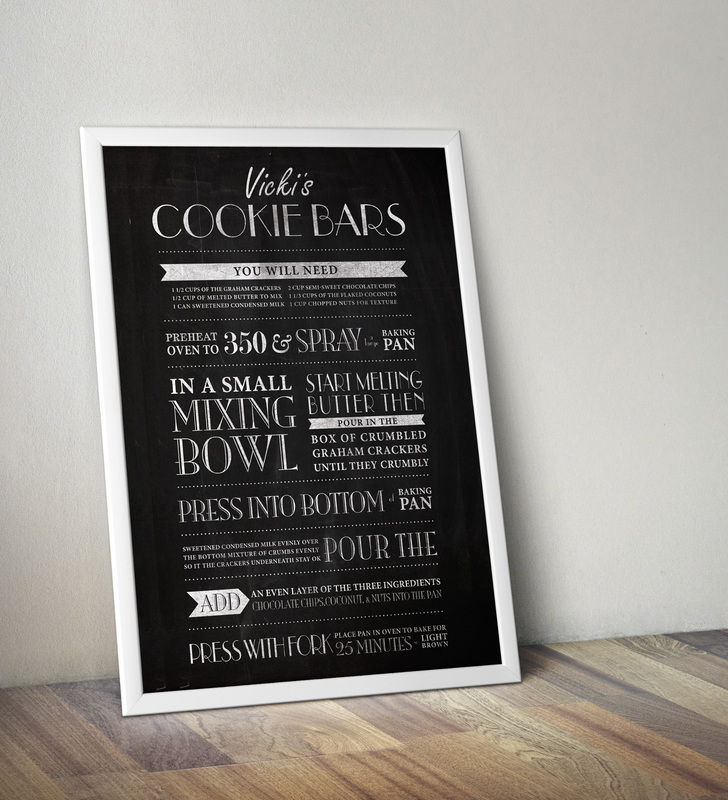 I created this recipe poster design as part of my Typography class. The challenge was to use expressive typography to showcase a family recipe. I created a piece for my mother-in-laws cookie bas recipe and used a chalkboard concept for the design. I used a variety of typefaces and brought them together by added grudge to each typeface to make it look more natural on the chalkboard behind it.